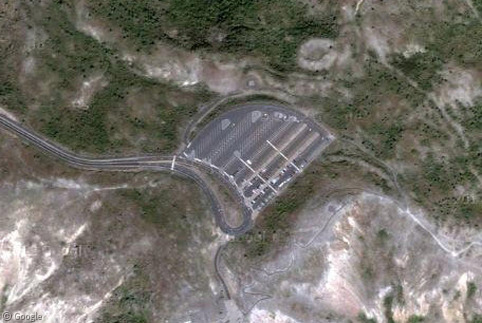 It was the site of the deadliest volcanic eruption in the history of the United States, but even after two GSS visits spread over the past 7 years, it’s not until now that we have a chance to revisit Mount St. Helens with high resolution imagery, street view, Bing Maps, and whatever else we could find! Recent satellite imagery gives us amazing views of the one mile (1.6 km) wide crater formed by the 1980 blast. 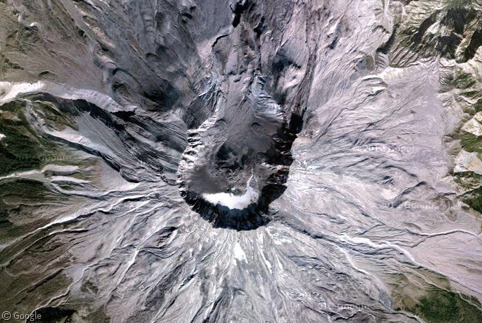 The 2.9 cubic kilometres (0.7 cubic miles) of Earth displaced by the eruption still carries its muddy, grey colour and mainly cover the northern face of (or what’s left of) the volcano. The eruption’s massive pyroclastic flow was reshaped and elevated Spirit Lake, but it also buried the large Spirit Lake Lodge and its owner, Harry R. Truman, under 46 metres (150 feet) of volcanic landslide debris1 near (what used to be) the southern edge of the lake. 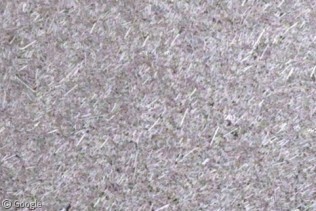 Today, this area is called the Pumice Plain. Visitors can view Mount St. Helens from several observation posts including Johnston Ridge Observatory, which is still used as one of the main scientific observation posts to monitor the volcano today. 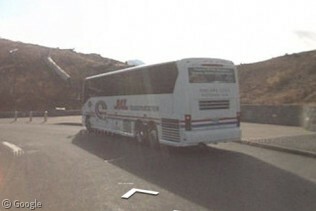 Google made their own visit to Mount St. Helens via the Street View car and captured a coach load of tourists taking the short hike to the observatory. 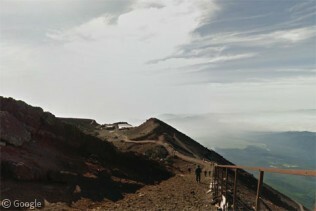 Devastation from the 1980 eruption can still be seen from the images taken by the Street View car. These trees were all flattened by the blast, and nearly 30 years later they still point toward the volcano. 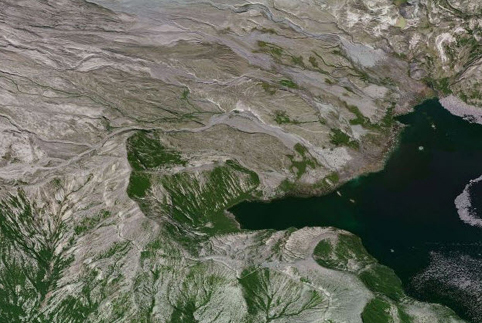 Not all trees were just flattened, many were outright blown away, and as we reported in a previous GSS visit, many thousands of them can be found floating in Spirit Lake to this day. Since the eruption in 1980, the volcano has been slowly rebuilding its dome by pushing rock and lava to the surface. Most of this activity occurred during the 1980s, but as recently as 2008 the dome building has been captured and documented by small earthquakes and sometimes visible with rising ash clouds. 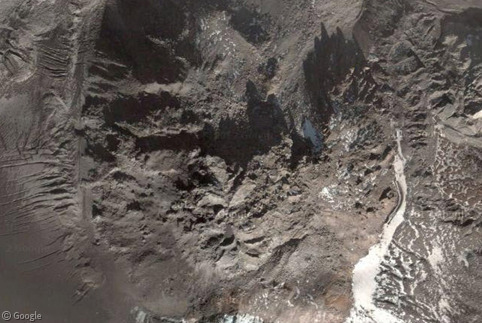 The more recent dome building eruptions have resulted in several large slabs of rock being pushed up through the surface (sometimes as quickly as 1.8 metres per day), but these large rocks were fragile and soon collapsed after being formed. 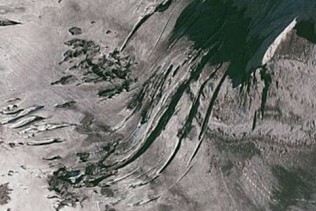 Today’s high resolution imagery lets us see some of these slabs that remain, and these shadows help us see the jagged features of slabs that collapsed after erupting to the surface. 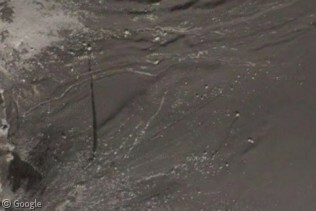 Many cracks can be seen rippling across the floor of the crater around the lava dome. These cracks are actually crevasses on a glacier formed by snowmelt surrounding the crater that’s named, quite accurately, Crater Glacier. 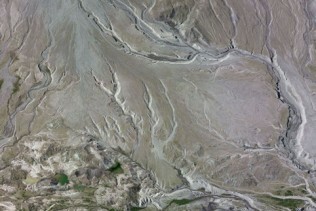 The glacier formed after the 1980 eruption and continues to grow 4.5 metres (15 feet) per year. 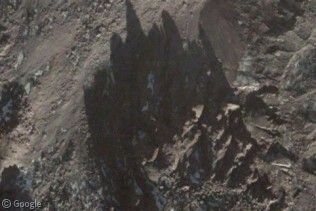 Also within the crater, there are a few interesting tracks that can be seen leading up to large rocks and boulders. 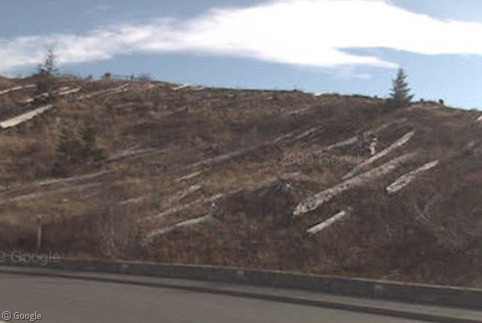 Perhaps these are trails following recent rock slides? 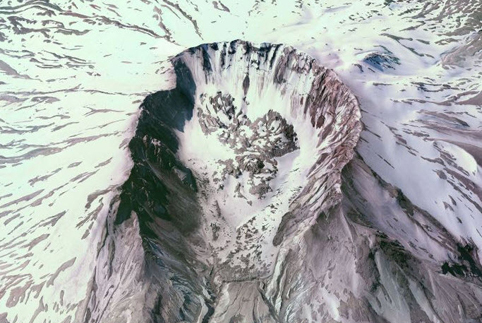 Bing’s Bird Eye imagery captured a wintery Mount St. Helens under a small blanket of snow, but the 360 degree rotation around the summit is still pretty spectacular. Mount St. Helens remains quiet following the dome building eruptions of 2004-2008, but it is still an icon in the volcanic history of the United States. For more information, be sure to check out our previous articles, and of course Wikipedia is an excellent source of information too!